For the smallest travellers on your trip, we’ve got Twinkle Stars*. This crèche is run to UK standards, so you can expect fully qualified reps and top-quality care for your little ones. Puppet shows, painting, and sensory play are all on the agenda, so there’s plenty to keep babies busy. You can also get involved with parent and baby swimming sessions. And, what’s more, you don’t need to panic about packing – we know that babies come with a lot of baggage. Pre-book our baby pack*, and you’ll be set for all the essentials, like blenders, buggies, and high chairs. The Little Star’s kids’ club is the place to be for little ones who have just passed the terrible twos. Fun-filled activities like art, storytelling, and games are on the cards here. Plus, spending time here will help them prep for starting school. Play and Learn sessions based on the National Curriculum come as part of the package. Seasoned school kids get to be Super Stars at this kids’ club. This club’s all about trying new things, so you’ll find sessions like mini fencing on the timetable. Play and Learn sessions including Mini Beast Safaris are on the line-up, too. This super-energised lot will love our Mega Stars kids’ club. They’ll be kept busy with everything from a big range of different sports and team-focused competitions, to outdoor activities and tricky quizzes. We’ve got a special programme for teens. We know they’re a tricky-to-please bunch, but we think we’ve cracked it with our Escape! scheme. Teens can kick back in a space specially reserved for them – that means no parents or smaller siblings. What’s more, it’s WiFi enabled. And that’s not all – when they’ve had their fill of chill, teens can pick up the tempo with a selection of fast-paced activities, like Water Walkers. Climb inside one of these big balls and you can roll around on the water’s surface hamster-style. There’s an Academy to suit everyone at lots of our Holiday Villages. 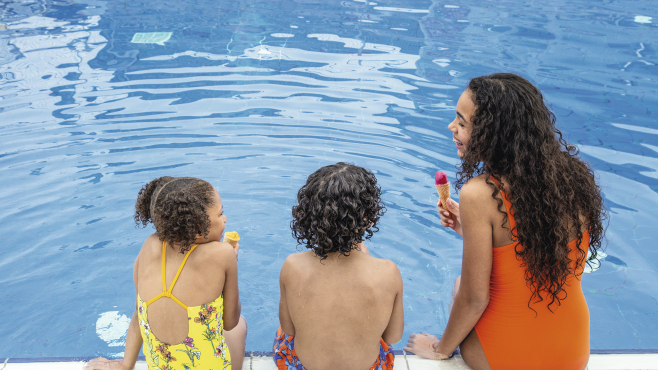 Our Swim Academies* are run by ASA-approved instructors, and they’re open to everyone over 3 years old. 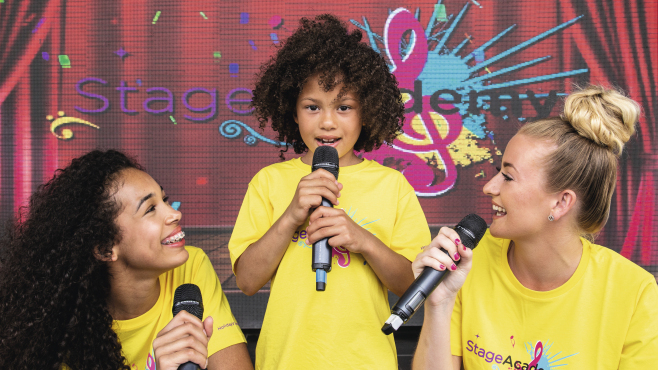 For 4 to 16 year-olds, budding pop sensations can get involved with the Stage Academy*, and the Football Academy’s* there for future footie stars. And, at our Rookie Lifeguard Academy*, 8 to 16 year-olds can learn lifesaving skills. 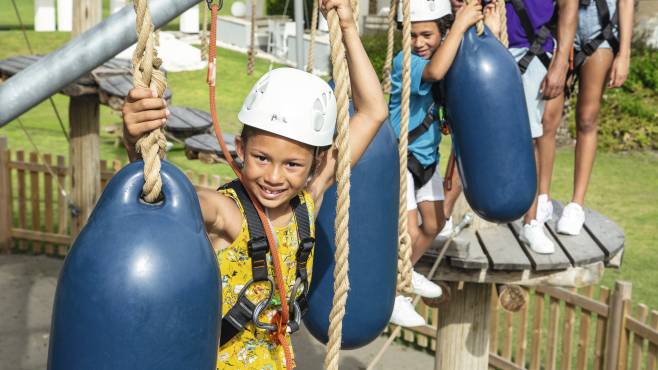 All our Holiday Villages come complete with neck-craning Aerial Adventure courses. Kids have to be at least 6 to get involved with this one, and everyone will be strapped into a harness by our specially trained instructors before they start climbing, sliding and clambering. Parents and grandparents have plenty to keep them happy on hols, too. All of our Holiday Villages have a great selection of bars where you can sip on your favourite tipple. In fact, at Holiday Village Aliathon, Holiday Village Atlantica Rhodes and Holiday Village Atlantica Kos you’ll even find drinking spots reserved just for grown-ups. Lots of our Holiday Villages have luxury spas*, too. Plus, if you fancy an evening to yourselves, you can book the kids into one of our late kids’ club sessions*, which run from 9pm to 11pm – movie nights and chocolate parties are just some of the activities on offer. Our HV Live entertainment is exclusive to our Holiday Villages – you won’t see these shows anywhere else. They’re on seven days a week, and the nightly line-up covers all ages, including everything from Saturday morning TV-style game shows, to music performances celebrating the best of eighties pop. Pleasing everyone can be a tricky task when you’ve got fussy foodies in your brood, so variety’s the name of the game in our Holiday Villages food scene. Our buffet restaurants offer international and local dishes, as well as healthy options. And, kids have their own buffet selection. 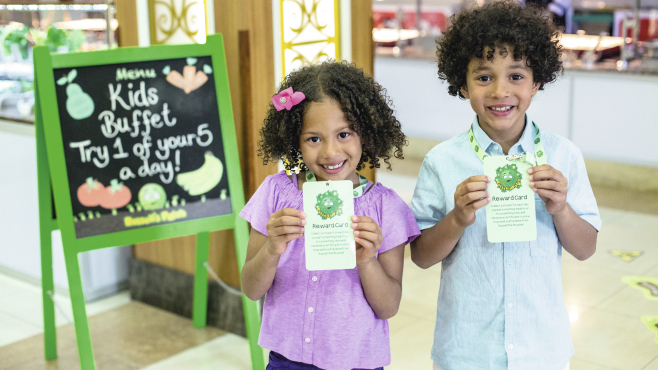 Our Russell the Brussel programme rewards them for picking healthy eats, too. What’s more, our à la cartes mean that classy dinner dates are on the agenda for grown-ups. Convinced? Check out our top Holiday Village deals. Or, find out which Holiday Village is best for you and your little ones. * Just so you know, this comes with an extra charge.